Our Club welcomes any person over 50 years of age to join us. 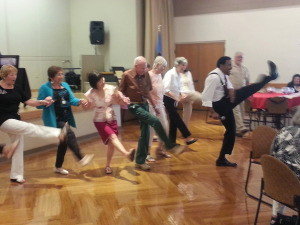 We are all volunteers and our mission is to help other seniors in our community, we also have fun! Laguna Niguel Sr. Citizens Club is an independent non profit 501(c)(3) organization and receives no funding from the City. Yearly Membership fee is $20 for single and $35 for a couple. You will receive a monthly newsletter (delivered to your home by mail), special pricing on our events and/or trips, the opportunity to meet other seniors like yourself and we look forward to meeting you!!! A membershi p form is available for your use: bring it to the Sr. Club office or mail it with your check and self addressed stamped envelope.